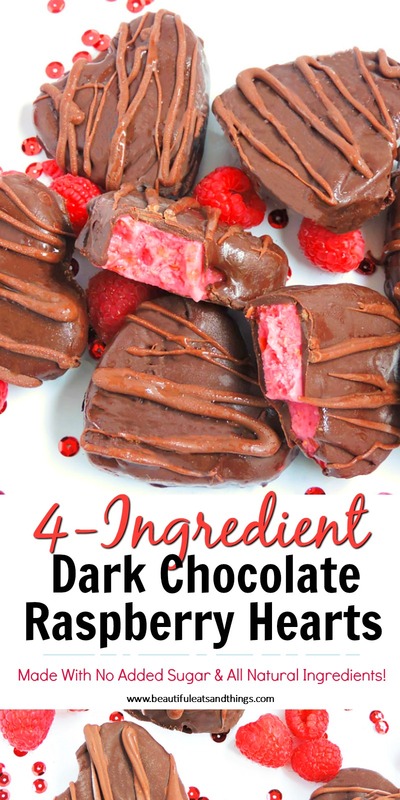 These 4 Ingredient Dark Chocolate Raspberry Hearts are the perfect Valentine’s Day treat! 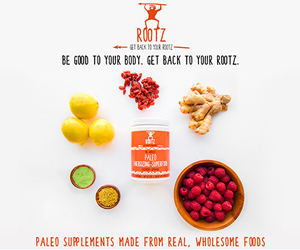 They are made with all natural ingredients, and no added sugar! 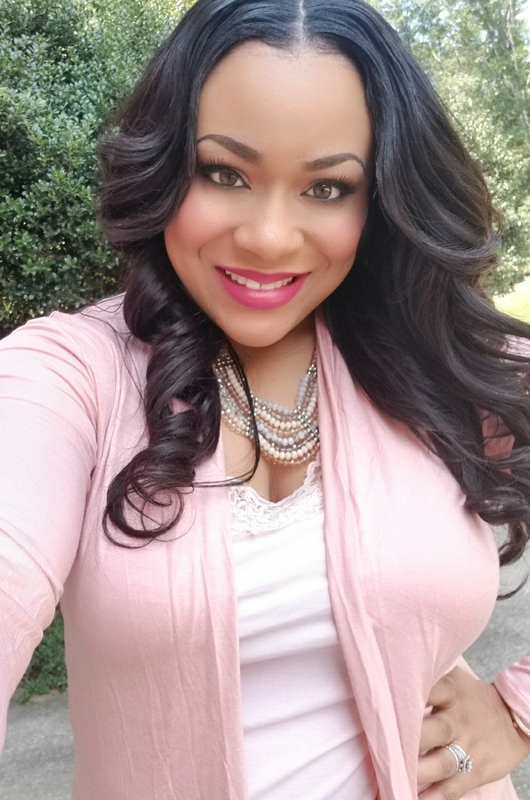 Love is definitely in the air, y’all!! I don’t know about you, but I’m extremely excited about Valentine’s Day! I absolutely love this holiday and all of the cliché gifts! I love receiving the typical Valentine’s Day gifts such as teddy bears, balloons, flowers, and CHOCOLATE!! I mean, who doesn’t love chocolate! Oh, and speaking of chocolate, I have the perfect recipe for this upcoming holiday! 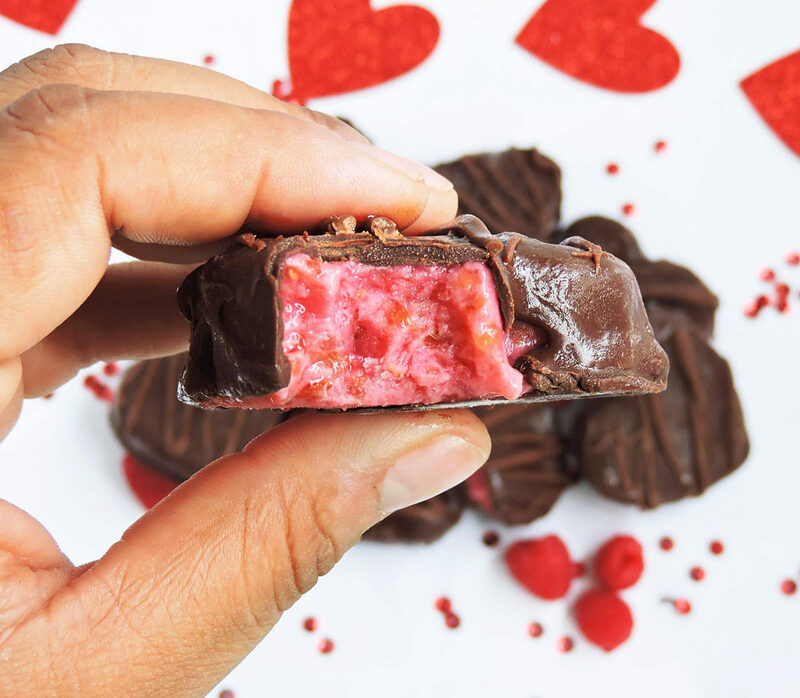 These Dark Chocholate Raspberry Hearts are sooo good and made with only 4 ingredients! And get this, these treats are made with no added sugar! 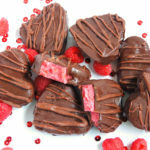 I got the idea for these 4 Ingredient Dark Chocolate Raspberry Hearts when I was scoping the holiday aisle at my local store. There were all types of delicious chocolates…cream filled chocolates, cherry filled chocolates, peanut butter chocolates, white chocolate….I guess you get the idea lol! 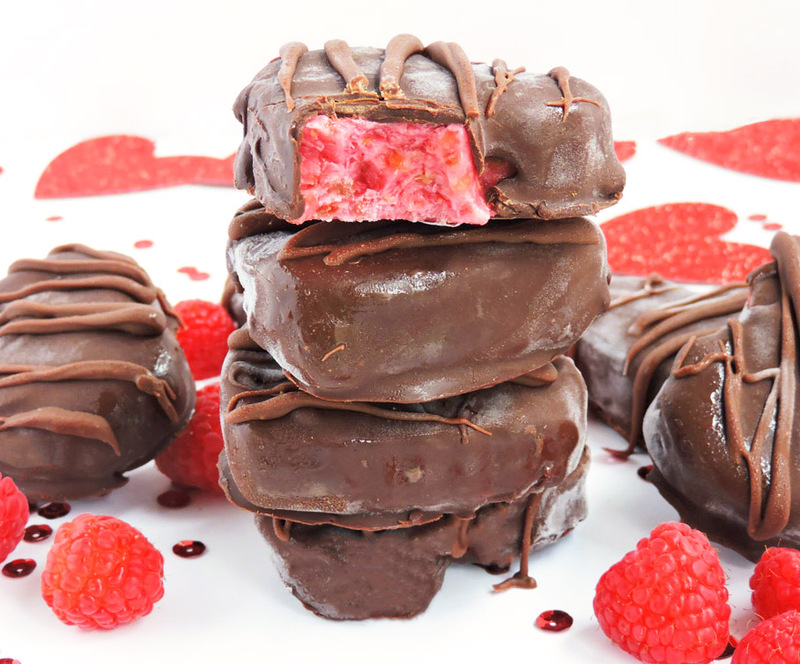 For more yummy chocolate recipes, check these out! There were so many to choose from, but there weren’t that many healthier options. Of course, you had sugar free candy, but I’m not a huge fan of those. I wanted something rich and chocolatey, but also easy on the waistline. Once the mixture was firm, I took my heart-shaped cookie cutter and cut out about 8 hearts. I placed the hearts back into the freezer as I melted my chocolate. 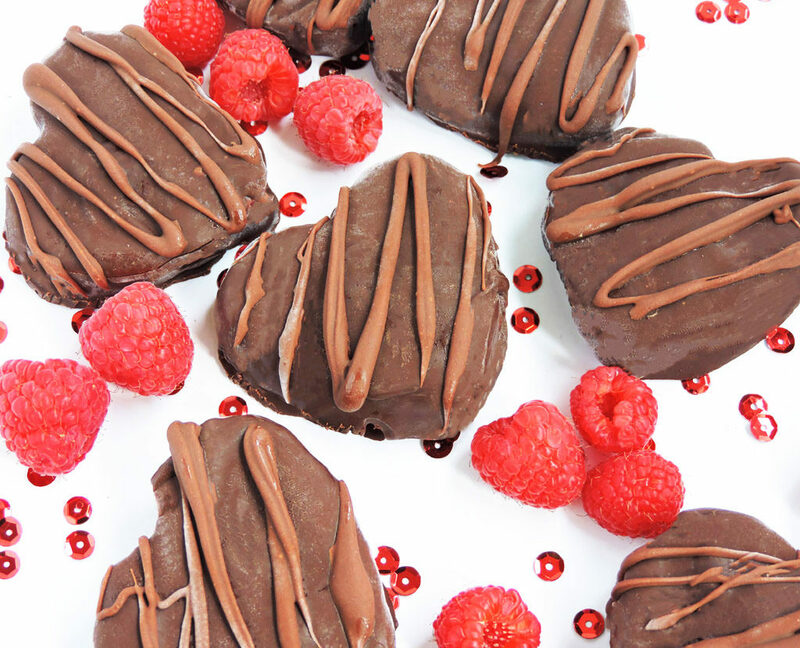 One by one, I dipped each heart into the chocolate and placed them back into the freezer to set. Feel free to do a drizzle of chocolate on top for a cute design! 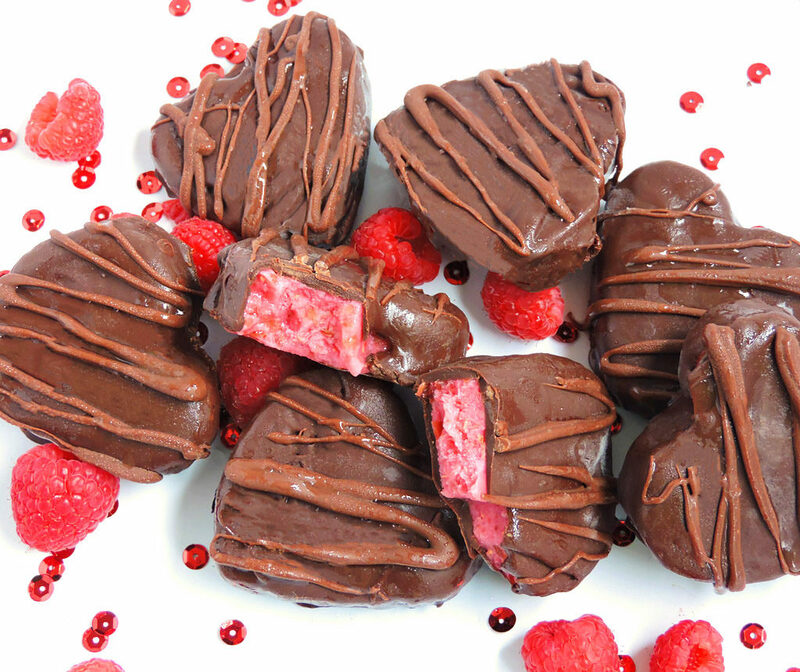 Y’all, these Dark Chocolate Raspberry Hearts tasted like heaven!! It was the perfect combo of tart and sweet! These treats are so cute that I decided to make a special batch for the hubs! And this recipe is probably the easiest recipe ever! So, what are you waiting on?? Go ahead and whip up a batch today!! Add raspberries, dates, and Greek yogurt to a blender and blend until smooth. The mixture may contain a few small pieces of fruit and/or dates, but that’s okay! Line a 9×9 inch square pan with parchment paper and pour the mixture into the pan. Place in the freezer for about 2 hours or until completely firm. Take a heart-shaped cookie cutter and cut out approximately 8 hearts. Place the hearts back into the freezer. In a small, microwave safe bowl, add the dark chocolate chips and place into the microwave for about 2 minutes, stirring every 30 minutes until the chocolate is completely melted. 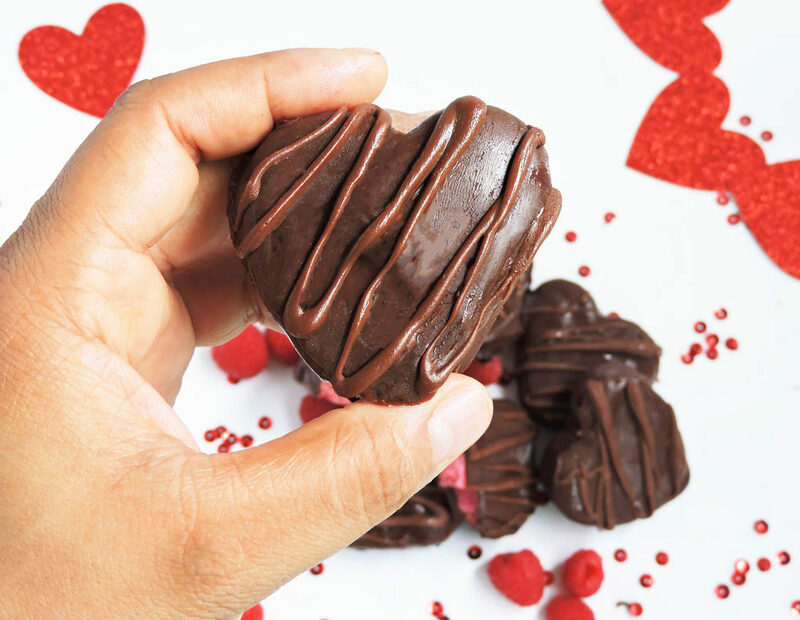 One by one, dip each heart into the chocolate until completely coated. 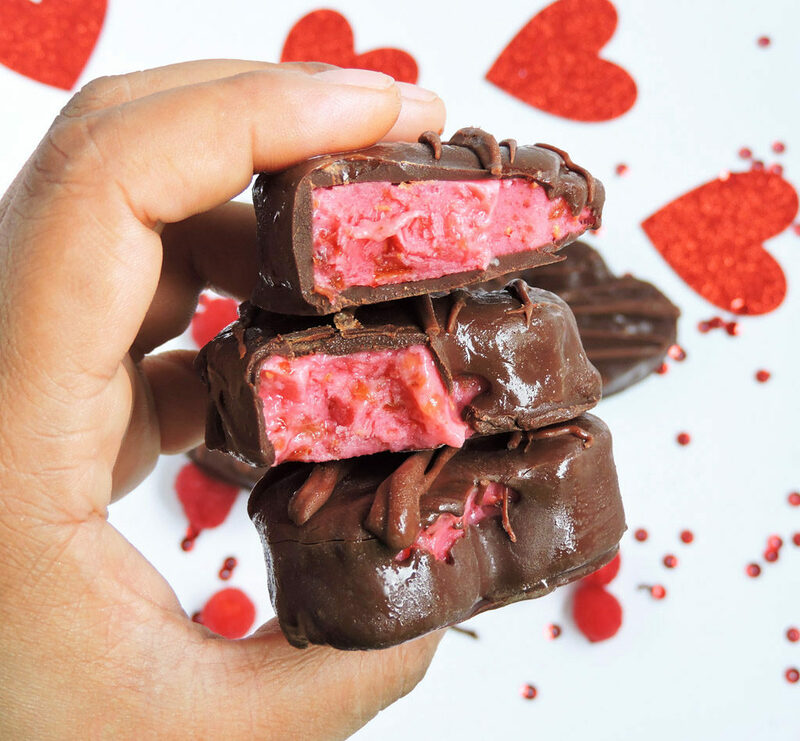 Place chocolate coated hearts back into the freezer until set. *Keep hearts stored in the freezer.